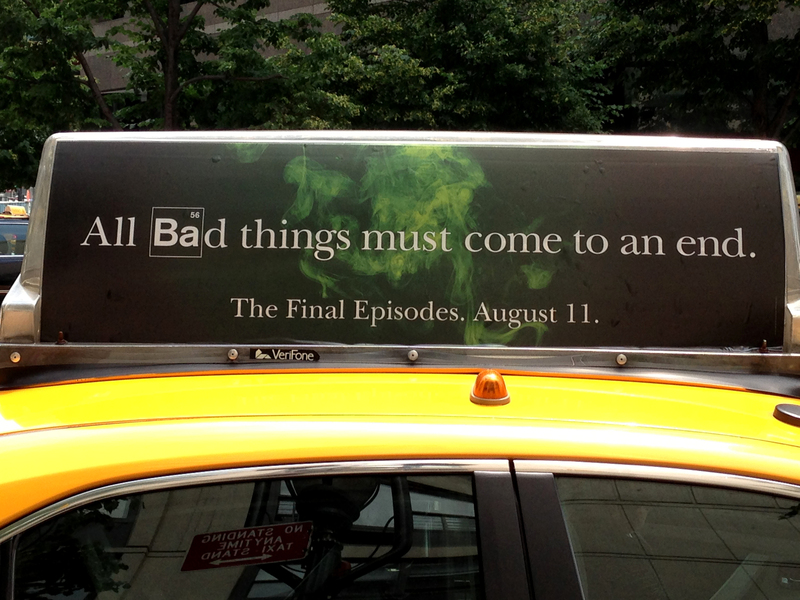 All bad things must come to an end? I will hold on to this thought. And although this is some cryptic graphic messaging for all you Breaking Bad fans out there, when I passed this on the street today I liked to think of it as my personal message from the universe. Everyone gets their share of bad. Some of us are over-achievers and we get our ‘bad’ in big, fat, miserable prolonged, heavy doses. I call this getting your bad out of the way all at once – the bad-efficient lifestyle. When calamity seems to follow you around like a lost puppy you sort of get used to it. Hostage mentality. Till ‘the end’ shows its lovely little light at the end of the tunnel, I will keep looking for the signs.